Happy Friday my sweet friends! We love to fish here in our home. 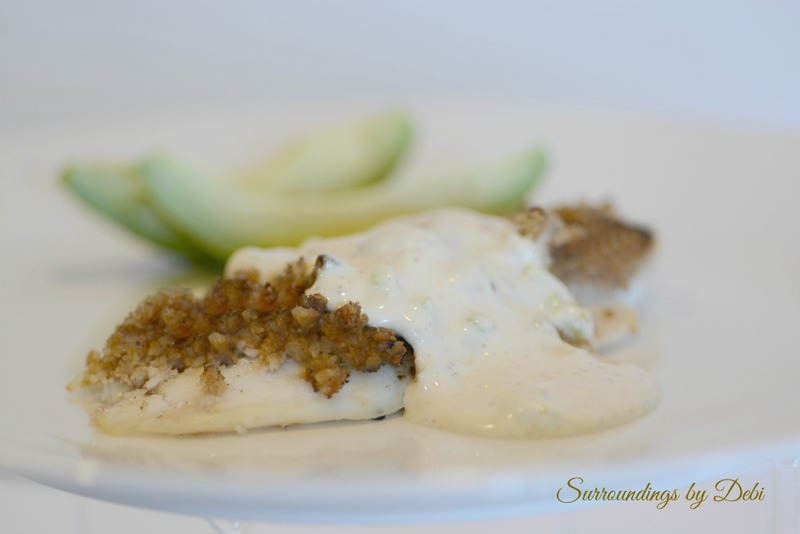 Whenever we venture out on one of our “date nights”, the nut encrusted fish entrée found on the menu always catches my eye and often becomes my choice for the evening. 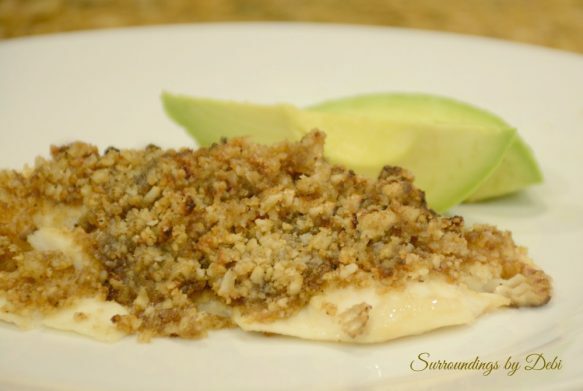 I am always on the look out to find recipes to change up my home cooking and this macadamia encrusted tilapia was a hit at our house this week. It definitely made its way onto our “food favorites” list! In just a matter of minutes, you can be enjoying this wonderful dish. Preheat your oven to 400 degrees and line your baking dish with aluminum foil. In a food processor, combine all of the ingredients except for the tilapia and blend until the mixture becomes paste-like. If you need a touch more olive oi,l feel free to add. Place your fish on the baking dish and spoon the mixture over the tilapia fillets, making a thick layer. My husband loves remoulade sauce with his fish, so while the tialpia was cooking, we whipped up this tasty version of the sauce. ¼ – ½ teaspoon hot sauce. 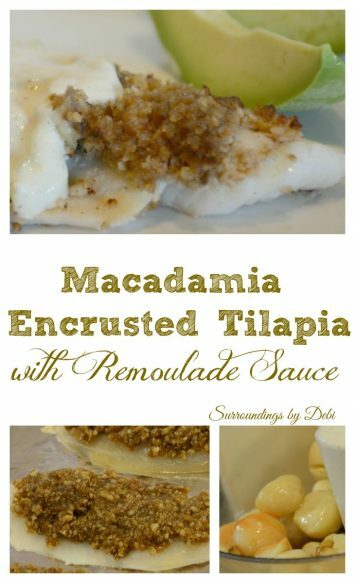 After the tilapias had finished cooking, we spooned a little of the remoulade sauce over the fish and enjoyed this delicious dish. The tilapia was so tender and the macadamia nut mixture created a perfect taste! Don’t forget to add this delicious recipe to your cooking Pinterest board! Check out all the wonderful things I am pinning HERE. This light flaky fish is sure to be a favorite in your family! 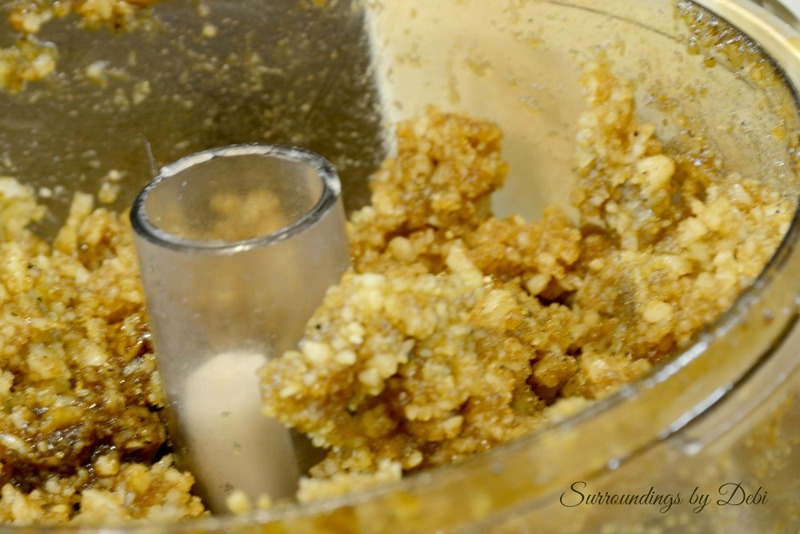 In a food processor combine all of the ingredients except for the tilapia and blend until the mixture becomes paste-like. If you need a touch more olive oil feel free to add. 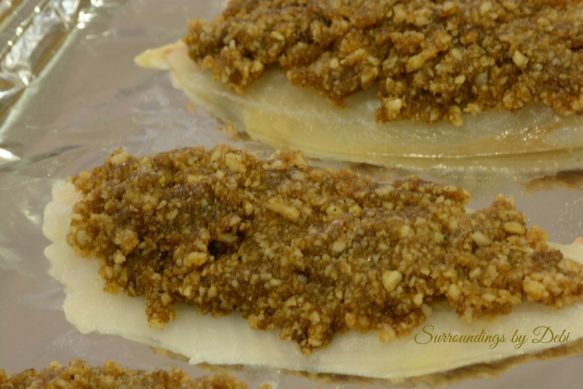 Place you fish on the baking dish and spoon the mixture over the tilapia fillets making a thick layer. I love fish, this is a different way of cooking it for me. Must try! Thank you Debi! I like how you used macadamia nuts. I bet it makes the fish great. I always have macadamia nuts in my pantry and this is a great way for me to use them up before they go rancid. Thanks for sharing on Merry Monday. Pinned. This Tilapia looks awesome! Hope you have a very special Mothers Day weekend and thanks so much for sharing with Full Plate Thursday this week. Looks so good, Debi! My favorite nuts. Absolutely my favorite nut as well! This fish was delicious. Yum! This looks so delicious, Debi! 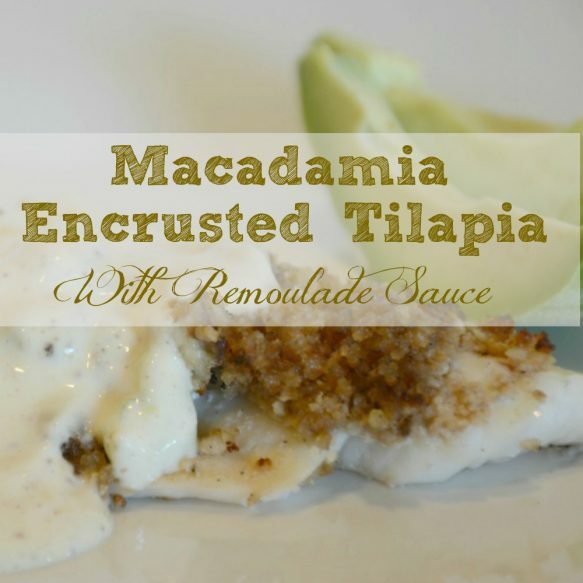 I love tilapia because it is so easy to cook! It sure is Ashley! 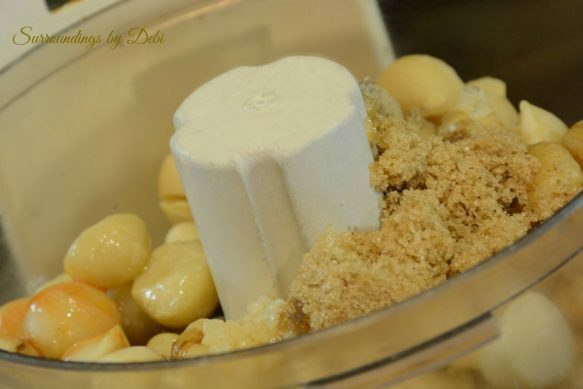 And the macadamia nuts were great!